The dots are even more clearly connected through his recent collabs with Salva and Bleep Bloop. It was just the time for a new release and now we have The Liquid Amber EP featuring two original songs and a Machinedrum remix of 2002&apos;s seminal "6 Days." 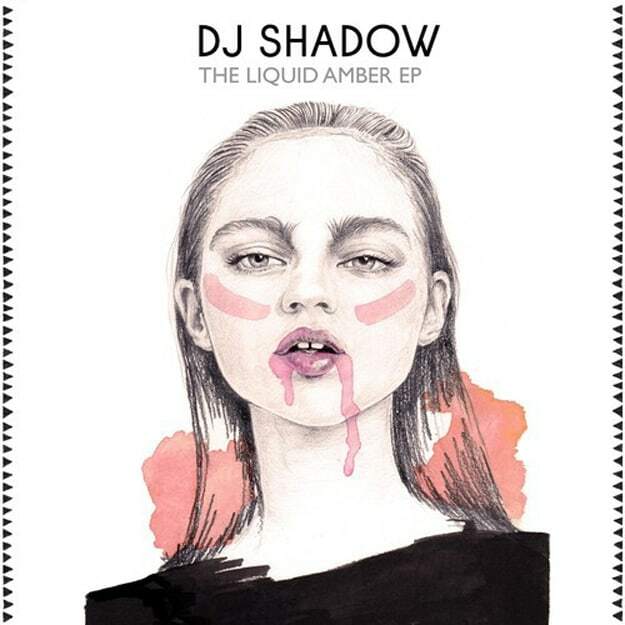 This EP is the first release on DJ Shadow&apos;s new Liquid Amber imprint. So how is it? It&apos;s OK. As he states himself in the press materials, he has been "inspired" by the recent wave of future bass music that has come out recently and I think that fact is crucial. When putting out his early work, DJ Shadow was obviously a fan of many diverse musics but the path he took was all his own. You can&apos;t forget that Entroducing... was the first entirely sample-based album and it blows my mind that it came out in 1996. With this new EP, DJ Shadow has gone from being a leader to a follower and I have to say that even though these are well made bass music tracks, they don&apos;t wow me. It&apos;s telling that the best thing on here is the Machinedrum remix. It&apos;s definitely a must have. The most baffling thing is that this has been "released" onto SoundCloud but there is absolutely no mention as to when this EP will be available for sale, so I&apos;m not sure what they expect us to do (aside from waiting for a response to this inquiry). Do they want us to check back everyday to see if it&apos;s for sale yet? Kinda taking the wind out of your own sails or sales (wink wink). If you are really digging the "Ghost Town" track, it is available as a free download on the EDM Network. If we remember to pay attention we&apos;ll keep you posted on when you can buy this release.